Cathy Colwell taught physics and mathematics at Mainland from the Fall of 1975 until June 2012. She is proud to see so many Mainland graduates, that she once instructed during their high school years, returning to be Mainland faculty and colleagues. Her participation in the CCTT Challenge Grant (1997-2002) and the subsequent development and success of her online physics program, PhysicsLAB, inspired her vision to design and implement the AlgebraLAB project. Since the summer of 1997, Jeremy Blawn has been professionally administering computer networks in both the private sector and education, evaluating software and hardware, and programming. His expertise with Active Directory and .NET programming has placed him in the pivot position of serving as both the network administrator for Mainland's grant network [which includes managing eight classrooms and the grant's servers], as well as being the principal applications programmer for AlgebraLAB and Learningxchange. He holds an Bachelor of Science Degree from the University of Central Florida in economics and mathematics. Currently he director of technical operations at Sabre, a technology company in the travel industry. A graduate of the University of Cincinnati and Xavier University, Scott has been teaching since 1997 when he earned a Masters in Education in Secondary Education. After serving as Team Leader in the gifted program and teaching middle school for four years, he came to Mainland HS in 2001 where his primary teaching focus is Algebra 1 and Geometry. Incorporating technology in the classroom has always been a goal for Scott. His previous work with cutting edge software in the state’s demonstration school enabled him to see the value of technology-based instruction and led to his interest in the AlgebraLAB project. Cindy (Chesley) Adams is a second generation graduate of the University of Florida. After graduation, Cindy worked in banking for 4 years and then started teaching middle school. She taught middle school for 9 years and then transfered to Mainland High School (her alma mater) in 1997. Since starting at Mainland, her teaching has primarily focused on Geometry and Algebra II as well as Algebra I, Analysis of Functions, Trigonometry, Pacesetter Math (Pre-calculus), and Advanced Placement Statistics. Incorporationg the technology in AlgebraLAB is a challenge that she is looking forward to, especially after seeing what an incredible difference using the TI graphing calculators has made in her middle and high school math classes. Kim Dodd is a proud graduate of FSU's College of Education. She has been teaching for 11 years, 10 of them at Mainland, her alma mater. For the last seven years, her teaching has primarily focused on AP Calculus AB and BS as well as Pre-Calculus/Math Analysis. She is looking forward to incorporating AlgebraLAB's new online curriculum into her classes. Glenna Redden is a graduate of the University of North Florida with a B.A. in Mathematics Education. After graduation, she began her teaching career at Flagler Palm Coast High School and eventually moved to Mainland High School seven years later. Highpoints during Glenna's past four years in Volusia County include: (1) currently serving as the high school vice president of the Volusia County Teachers of Mathematics organization, (2) being nominated as Volusia County Math Teacher of the Year for the 2002-2003 school year, (3) serving as a math adjunct at Daytona Beach Community College since August 2002, and (4) actively participating with the EETT grant since April 2003. Glenna has found working on the EETT grant an exciting experience and is looking forward to implementing more and more technology into her classroom. Currently Glenna is the instructor of the 9th grade ribboned classes of Honors Algebra II and Geometry for students in Mainland's academies. Mark Acton joined the programming team for AlgebraLAB just as we were brainstorming the functionality of the Word Problem pages, Glossary, and Quizzes. He developed and implemented these aspects of AlgebraLAB as well as its final debugging and transition to the .NET Framework 2.0. Brittany Horn graduated from Mainland in 2002 and earned a degree in Engineering Technology from the University of Central Florida. Brittany was instrumental in researching and writing the career profiles on AlgebraLAB, as well as the companion exercises for the Algebra I and Algebra II Recipes series. Brittany is the "voice of AlgebraLAB" heard on all of the work problem lessons and glossary terms. After earning her degree, she worked as a civil engineer on large transportation projects and small municipal projects for 5 years. Brittany is currently providing permitting and invoicing services for a global engineering firm based in Chicago. 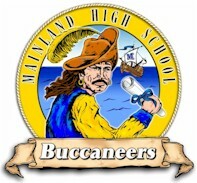 Todd Hales graduated from Mainland in 2000 and from Stetson University in 2004. Todd researched and wrote the reading passages for AlgebraLAB. He has earned his law degree and is working with the foreign service. Marshall Ransom has worked as an educator since 1972. He has taught junior high and high school mathematics for Volusia County Schools, Florida, primarily at Mainland High School in Daytona Beach. During this time, he started the Advanced Placement (AP) Calculus program in the district and has been a reader and table leader for the grading of the AP exam for the last 12 years. He has been a project director for a Florida Model Technology school, an assistant principal for high school curriculum, and the district mathematics curriculum specialist. He was also project manager for a 5 year USDOE Technology Innovation Challenage Grant. Marshall is currently a mathematics instructor at Georgia Southern University. He holds a masters degree in mathematics and an EdS in Educational Leadership. He is a member of NCTM, GCTM and ISTE. Donna Saye began her teaching career in 1974 at Effingham County High School near Savannah, Georgia. In 1988 she started teaching at Georgia Southern University. At GSU she has taught everything from developmental mathematics to graduate courses for high school teachers. She has a BS from Berry College in Rome, Georgia and an M.Ed, Ed.S. and Ed.D. from Georgia Southern. In 2002 she won the Georgia Southern University Award for Excellence in Contributions to Instruction. Her areas of interest are algebra, graphing calculator technology and mathematics education. She is a member of GCTM and MAA. In 1993, Sharon Talor received her doctorate from Texas A&M University in mathematics eduation. She has been teaching both graduate and undergraduate courses in College Algebra, Calculus, Statistics, and Mathematics Education at Georgia Southern University since 1996. Her current areas of research focus on the (1) impact of alternative teaching strategies in college algebra (an American Association of Colleges and State University funded project), and on the (2) impact of summer teacher training workshops on teachers' content knowledge and classroom teaching techniques. She has been organizing and running conferences for teachers in Georgia and Texas since 1992 and conducted technology training workshops for teachers during the summers of 1998-2001. Sharon is a member of the MAA, NCTM, GCTM, T3, and ICTCM. Carolyn taught at Mainland for the past five years and is now carrying AlgebraLAB with its rich technology-integration and interdisciplinary approach to teaching algebra and geometry to her new school. She has written both developmental practice pages and hands-on activities for the project. A veteran high school teacher of the Volusia County Public School system, Kathy is now teaching at the Cannon School in Concord, North Carolina. She has taught Algebra I/II, Geometry, and Math Analysis as well as such college preparatory mathematics as AP Calculus AB/BC and AP Statistics. She has contributed many geometry practice exercises to the project. Professionally, Kathy has presented sessions in statistics at Florida Council of Teachers of Mathematics Annual Conferences in 2002 and 2003, and College Board Teaching and Learning Workshops in 2002 and 2004.